Are you looking for a custom writing provider that would become your reliable assistant in all the battles against the educational system? Are you becoming slightly desperate seeing that the majority of companies that offer their help will be either too expensive or too low-qualified? Worry not, the help has come! Pay4essays.net will become not only your personal writing provider but also a loyal friend. 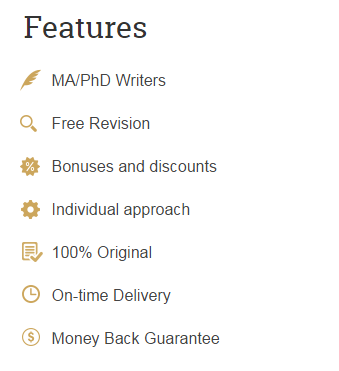 What makes us different from all the other places where you can buy essays? If you have sailed the waters of custom writing for at least a little, you know how difficult it is to find a company that would fit your requirements perfectly. Yes, it is difficult – until you stumble across pay4essays.net! We not only match but also exceed your expectations in all ways possible. Better quality of papers. Even though it is accepted within the industry to provide papers of 70% originality, we aim for no less than 95%. It allows us to protect our clients from the most stringent plagiarism checks. The higher speed of work. Your deadline is sacred for us. Even better – it can be as urgent as you need it to be! The delivery time starts at just 3 hours, which is usually enough to make every client happy. We do recommend you to allow some time for a revision though. Lower prices. Let us explain it a little. Our value-for-money policy stipulates that there can be lower prices at other companies, but there can’t be a better quality of service at the same price. If you need to get top-notch service for the money you pay, this is just the right place to do it. More qualified writers. An average writer across the industry is an undergraduate college student who is trying to make some extra cash. Alas, it is the reality. Wanting to do things differently, we have gathered writers whose qualifications did not raise any doubts. Besides, the majority had the experience in custom writing before coming to work for us. Continual support for customers. Either you are only going to place an order or are already waiting for it to be fulfilled, our support team is ready to answer your questions. The operators are available via phone or the live chat. What do I do to buy an essay? Please note that the support team is there for you at every stage of the process, not to mention that the assigned writer will be in touch as well. When you decide to place an order here, how do you know that you will get exactly what you need? Well, that is why we have all these customization options! First, you can choose what kind of service you need, which includes paper writing and help services such as editing and proofreading. Then, you can specify the quality and the language standard. While the language standard does not influence the price of your order, the quality standard does a lot. So if you want to get a budget charge, don’t hesitate to set it to the lowest level. Finally, proceed to add all the other benefits – SMS tracking, top writer, high-priority for your order, a one-page summary and a plagiarism report. These influence the price as well. In the end, be sure to use the Instructions field to provide notes and comments on how your order should be fulfilled. You will be able to add additional requirements after placing your order, but it is better to do it at the very beginning. We do not want to charge you a dollar over the fair price of your paper, so you can be sure that the price you pay is the lowest for the kind of quality you will get. Hey, and do not forget about discounts! We are thinking about adding a few more, so stay tuned! Don’t let disappointment and fatigue get to you. There are companies that will help you handle all your papers and other assignments in a timely fashion, without breaking the bank. And Pay4essays.net is probably the best one of them. Don’t hesitate to order now. We are ready to start working!